Ryan Shilling CARMEL – Despite having to deal with a dizzying array of injuries last season, the Carmel High football team still managed to find its way to the Class AA championship game. The only problem was, coming off an emotional semifinal … Please login below or purchase a subscription to the Putnam County Courier to access this content. Dillon Addonizio MAHOPAC – The Mahopac High football team has enjoyed a pretty good stretch over the past few seasons, advancing to the sectional semifinal last fall before falling to eventual champ New Rochelle. But with the bulk of starters… Please login below or purchase a subscription to the Putnam County Courier to access this content. Tyler Hanson BREWSTER – Like many teams, the Brewster High football team was forced to deal with a number of injuries last season – injuries that kept the Bears from seeing what they were capable of at full strength. This season’s… Please login below or purchase a subscription to the Putnam County Courier to access this content. After a losing season in ’08, the Tigers are excited about the upcoming season. They‘re returning some key players they missed due to injury last year and are entering a new league. The football program is relatively young, and since i… Please login below or purchase a subscription to the Putnam County Courier to access this content. David Sparozic MAHOPAC – The Mahopac High boys soccer team graduated most of its starting lineup from a team that finished near .500 last fall. But the good news is that the Indians return most of their starting defense. Mahopac will miss All… Please login below or purchase a subscription to the Putnam County Courier to access this content. 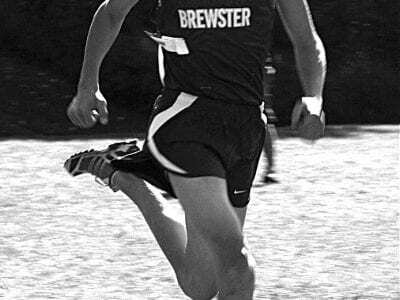 John Carr Big things are brewing this fall for the Brewster High boys cross country team. That’s because the Bears return their top five runners from a league championship team that went unbeaten last season, and finished second at sectionals,… Please login below or purchase a subscription to the Putnam County Courier to access this content. Putnam Valley’s field hockey team has been one of the biggest bright spots in the school’s brief history. 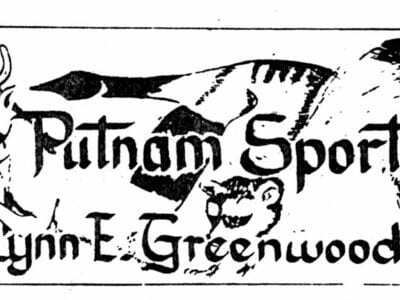 Since snatching the school’s first state title in any sport in 2005 under coach Tracy Parchen, the Tigers have maintained th… Please login below or purchase a subscription to the Putnam County Courier to access this content. 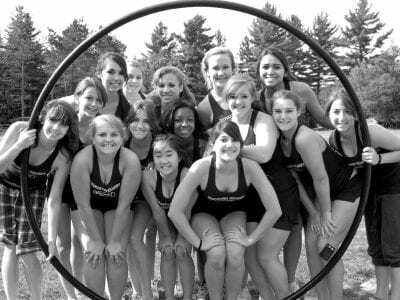 Member s of the BHS cheer leading team are pleased wi th thei r accomplishments at the conclusion of their unusual training upstate. Cheerleading is much more than focusing on a routine. Jaime Ferrucio, coach of the Brewster High School Varsity Ch… Please login below or purchase a subscription to the Putnam County Courier to access this content. Lynn Greenwood writes: “Bill Twardy, special ed teacher and wrestling coach at Carmel High, just called me on this first day of school, starting 35 years of teaching there. Bill and his wife, Joan, got back last night from Rhode Island,… Please login below or purchase a subscription to the Putnam County Courier to access this content.